Two Seattle council members propose a business head tax to boost spending on homeless response, drawing protests from the Chamber of Commerce. Two Seattle City Council members have proposed taxing the city’s highest-grossing businesses to increase funding for the region’s growing homelessness crisis, a measure that, if approved, could generate up to $24 million ayear for long and short-term housing options. 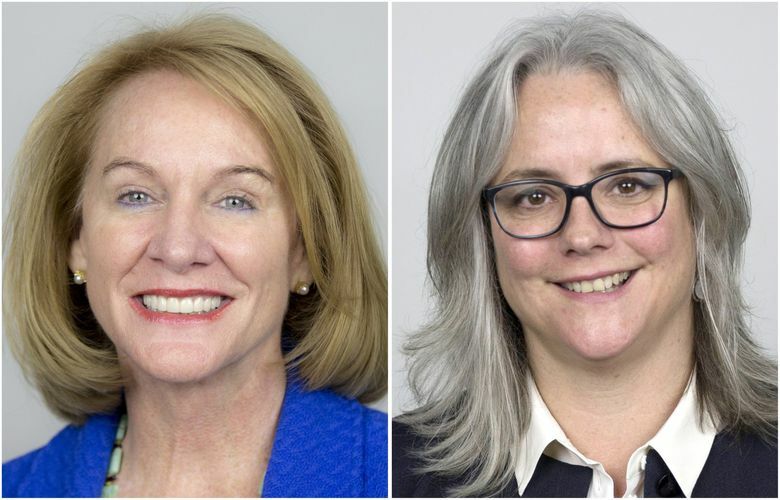 The proposal was met with sharp opposition from business associations but was embraced, at least in part, by mayoral candidates Jenny Durkan and Cary Moon, who will face off in a Nov. 7 election. It comes as King County has seen a steep rise in people sleeping in tents, cars and on the streets, a problem that continues to grow despite a state of emergency declaration by Seattle and King County. A new budget proposal by interim Seattle Mayor Tim Burgess would increase city spending on the homeless-response system to $63 million, nearly 40 percent more than four years ago. The proposal by Councilmembers Mike O’Brien and Kirsten Harris-Talley, a temporary council member until the November election, would tax businesses generating annual gross receipts of $5 million or more. The measure would apply to about 10 percent of the city’s businesses, about 2,200 in all, and cost them about $100 per year per full-time employee. It would go into effect in early 2018. Burgess declined to comment on the proposal Thursday, but he previously opposed a similar tax enacted in 2006. The council rescinded it three years later during the Great Recession. O’Brien and Harris Talley’s proposal would add $5 million for emergency shelter, including tiny house villages. It also would expand safe lots for homeless vehicle campers; this summer, O’Brien proposed relaxing city’s enforcement of parking laws for those vehicles. Another $1 million would expanded the city’s Law Enforcement Assisted Diversion (LEAD) program. The remainderwould go to long-term subsidized housing built through the city’s Office of Housing, as well as rental vouchers. O’Brien said Thursday he hoped the tax would supplement the new spending proposed last month in Burgess’ budget. While Burgess’ budget has some good additions, “There was nothing at the scale that gave me the confidence that we’d even keep up with the growing challenge we’re facing,” O’Brien said. Both the Seattle Metropolitan Chamber of Commerce and the Downtown Seattle Association agreed homelessness is a major concern, but they strongly disapproved of the business tax. “We find it really puzzling that they are proposing a new tax on jobs at a time when the city’s economy is thriving, which means the city’s coffers and their budget is bigger than it’s ever been,” said Jon Scholes, CEO of Downtown Seattle Association. Maud Daudon, president and CEO of the Seattle Metropolitan Chamber of Commerce, agreed. She noted the city’s recent $290 million housing levy and its general fund budget has risen dramatically — money the city could dedicate to tackling homelessness and housing affordability. “This is not a resource issue. It’s a matter of political will,” Daudon said. The proposal comes at a tumultuous time, a month after the resignation of Mayor Ed Murray, who two years ago declared homelessness a crisis in Seattle, and within weeks of the election to choose his permanent replacement. The city is also in the middle of a broad reform of its homeless-response system. It is rebidding roughly $30 million in services for the homeless — the first time in a decade Seattle has reconsidered who provides homeless services, raising concern among nonprofit providers. O’Brien said he isn’t proposing changes to that rebidding process. Pathways Home, the reform plan of Murray, has “a lot of promise,” O’Brien said. But without adding more permanent and emergency housing options, “I think the system is set up to fail,” he said. Many of the new beds in Seattle — including the Navigation Center, the city’s first 24-hour “low-barrier” shelter that opened in July — are now full. It is a crisis that the next mayor will inherit. Durkan’s spokeswoman Stephanie Formas said in a statement that Durkan looked forward to reviewing the full proposal and “seeing how it evolves during the budget process,” and she did not dismiss the idea of a business head tax. Moon, in an emailed statement, said she “wholeheartedly” supports the council members’ “bold action.” But she was concerned whether this kind of business tax was the best approach. “We want to encourage more family-wage jobs, not fewer, and to minimize barriers for small and local businesses,” Moon said. The City Council will discuss the upcoming budget in more detail Monday.